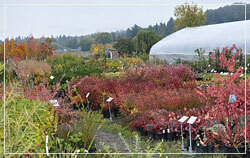 Owners Christie and Scott Mackison started Shooting Star Nursery in 2005 with the vision of supplying a wide range of plants, personal service, and reasonable prices to customers in the Rogue Valley. Shooting Star offers a broad selection of trees, hard to find perennials and shrubs (to satisfy the plant nerd inside us) as well as the more common landscape plants. 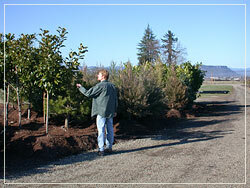 We grow many of the trees in rootmaker bags which create a superior root system and can be dug most of the year. Spreading over eight acres, plants are easily accessible for viewing, and knowledgeable staff are available to walk the grounds and assist customers with plant selection. In fact, we love nothing more than talking about plants and helping customers discover just what they are looking for. 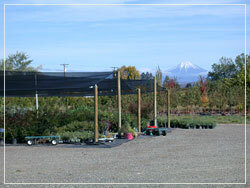 Shooting Star Nursery caters to retail customers as well as landscape professionals. We also offer design and consultation services with personal attention and customized to your needs. Delivery is available from one tree to an entire trailer load. Christie left the computer-driven world of architecture to get her hands dirty in landscape design and gardening. After graduating from U of O and working in architecture in Portland she started her own landscape design and installation business and learned her way around plants working at nurseries. She was enticed to the Rogue Valley to be closer to her family and to be able to start a business that could keep her close to home and family. 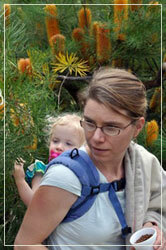 Christie can be found coralling her kids while answering plant questions or teaching a class on her favorite plants. Christie loves all things plants, especially Abutilons, Manzanita, Salvias, or edibles and can help you with your plant or design needs. 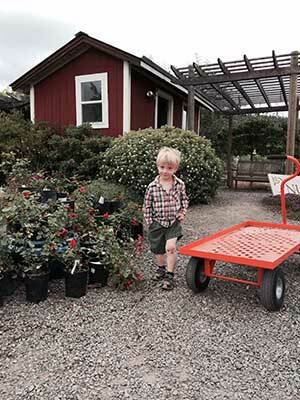 She is available for design and consultation appointments at the nursery or on site. Scott has become a true plant lover since being brought into the nursery world from architecture. He has a great eye and will pick out the best form of the tree you are looking for. Multi-trunks are his favorite and don’t get him started on olive trees (there are several hardy varieties that he can tell you about). Scott is a jack of all trades and you will find him doing everything from irrigation repairs, to loading trees to delivering large truckloads. A native Coloradan, Scott is still getting used to Oregon dampness but thinks the Rogue Valley is the best place to dry out. Bonni was a favorite customer of the nursery before she became a valued employee. Bonni can talk plants all day long, and if she doesn’t know the answer to any question, she will be happy to find it. A true plant nerd, she shouts with delight when a new plant arrives at the nursery. 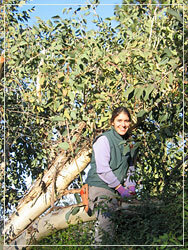 Bonni is a certified Master Gardener and has had her own design and maintenance business. When not at the nursery, she tends her own ever-growing collection of plant specimens, which includes many of her favorite Euphorbias, or tending to her delightful sons. See Bonni’s other plant lists for suggestions for specific themes and locations. 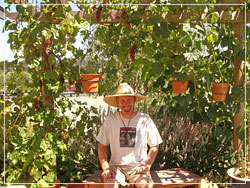 Newer to the valley, but not new to gardening, Eric is a third-generation plant geek. 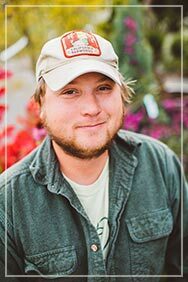 He has gardened in Seattle and Louisiana and though still learning about the subtleties of the southern Oregon climate, his drive to learn is never ending. Ask him about pruning, native plants, or the theater. Eric is also the current president of the local Rock Garden Society. Joey has been interested in flora and and fauna since he was a kid. His interest in plants really grew when he was in high school. He created living vivariums for poison arrow frogs as well as planted aquariums. Tropical plants (especially bromeliads and tillandsias) became his next obsession. Years later, he became interested in agriculture. 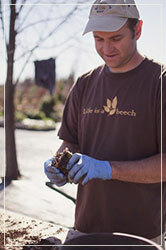 He started the Horticulture program at LBCC in 2012 and graduated with an Associates of Applied Science in Horticulture. Joey's main interests are fruit trees, herbs, tropical and tropical-like plants, natives, and a strong Agave and Sedum obsession. 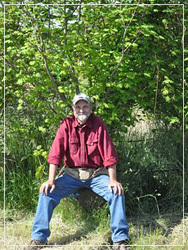 His favorites plants look prehistoric such as dawn redwood, magnolias, ferns and monkey puzzles. When not at the nursery being a beloved member of the sales staff, Joey can be found hiking and exploring all over Oregon and looking for the next great band or beer. "I love shopping here. I get personal attention and excellent advice about deer resistant plants. Today, I discovered plants I have never seen in over 40 years of gardening."